Hence, why you haven’t heard much from me.. I’m trying so hard to keep all these plates spinning, without letting one fall… Tricky, Tricky. Thanks for all the inquiries — I’m ok, just trying to get a handle on it all! Be back to blogging soon! I get what you are saying! 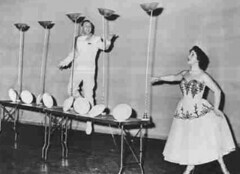 You do what you gotta do darlin…no rush…if you need a plate spinner just give me a holler!!! Chrysti–thank you so much for the “blog-giveaway” gift papers. I love them!!! you are such a sweetheart! p.s. I adore my ATC’s from you. Your artwork is superb! I adore it!